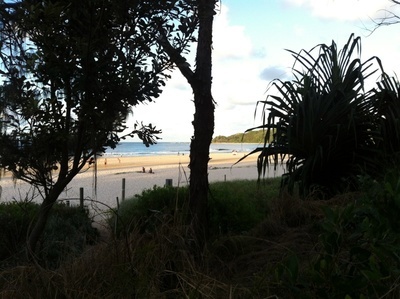 Main Beach is located in the heart of Byron Bay – approximately 1 hours south of the Gold Coast and 2 hours south of Brisbane. The beach offers stunning views of mountains and you can sometimes see passing whales and dolphins as the beach has a northerly aspect. 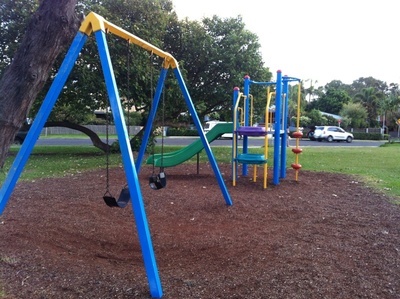 It is patrolled by surf lifesavers all year round and is only a short stroll to the town centre. The waves are often fast and hollow, but can often get small spilling waves, depending on the swell. 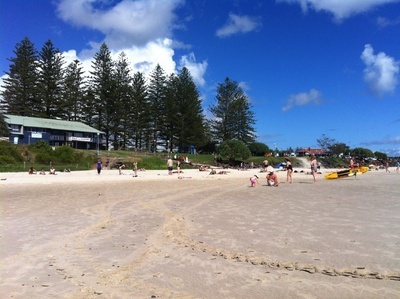 Main Beach is a popular family beach as it has everything one may need for the perfect day out. 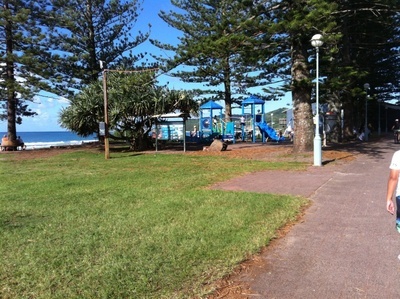 Several playgrounds are located just above the beach, with tables and benches nearby. 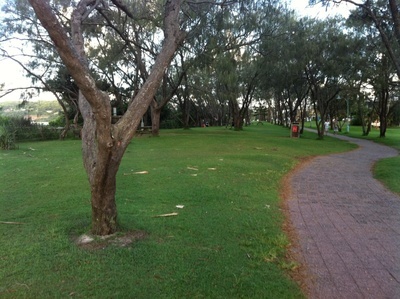 There are plenty of grassy areas to enjoy a picnic and also a path on which children can ride their scooters and bikes. Cafes, restaurants and ice cream shops are within short walking distance as are many trendy clothing stores, book and gift shops. 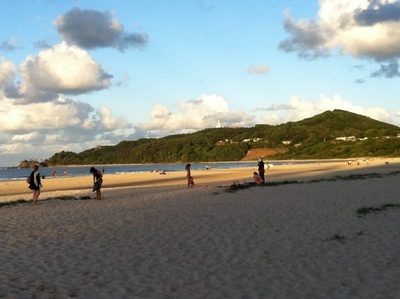 Byron Bay is a colourful town with its own laid back culture and relaxed and friendly atmosphere. 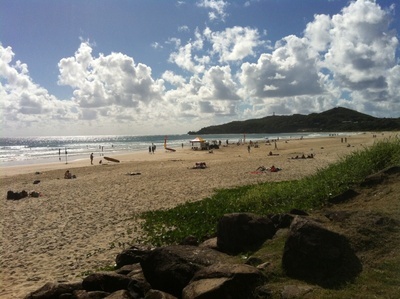 It is very popular among surfers and a favourite holiday destinations for tourists from around the world. 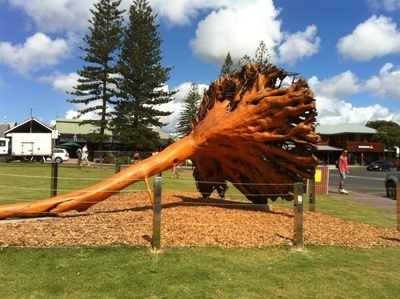 It is not unusual to bump into celebrities who escape to Byron Bay for some rest & relaxation. 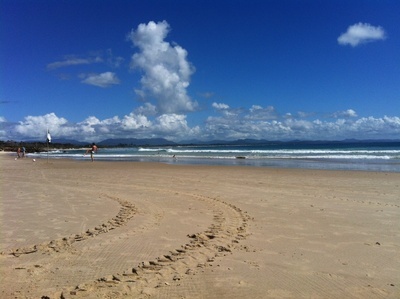 If you are heading to Byron Bay for the weekend or a holiday, you will find plenty of accommodation to suit every lifestyle and budget. From cosy bed & breakfasts (such as centrally located Ruskin House) to luxurious beach houses, comfortable hotels, inexpensive motels as well as family caravan parks. If you are caught in a rip, the main thing is to not panic. Do not try and swim against the current. If you are confident, swim parallel to the beach – often this is towards the breaking waves, which can then assist you back to shore. Also don't forget to put on a sunscreen to prevent a nasty sunburn, which can potentially ruin your holiday. 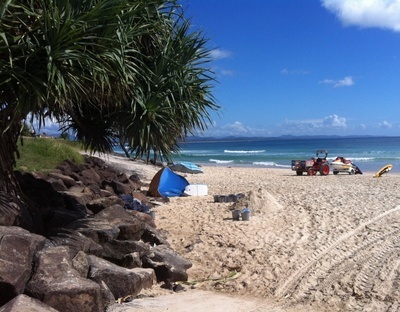 One great sunscreen is by Queensland company UV Natural. As the name suggests, the sunscreen is made from a blend of natural ingredients and not only protects the skin from the sun, but also provides hydration. It is suitable for people with skin allergies as it is fragrance and preservative free. It is used by Australian Champion surfers such as Kate Skarrat and Mel Redman-Car and also endorsed by ABC's Active Kids Scott & Amy. For more information, about protecting your skin, visit the UV natural website.